Despite any prior doubts and worries a family-friendly ski holiday sometimes presents, skiing with children often creates one of the most memorable family holidays you can imagine. 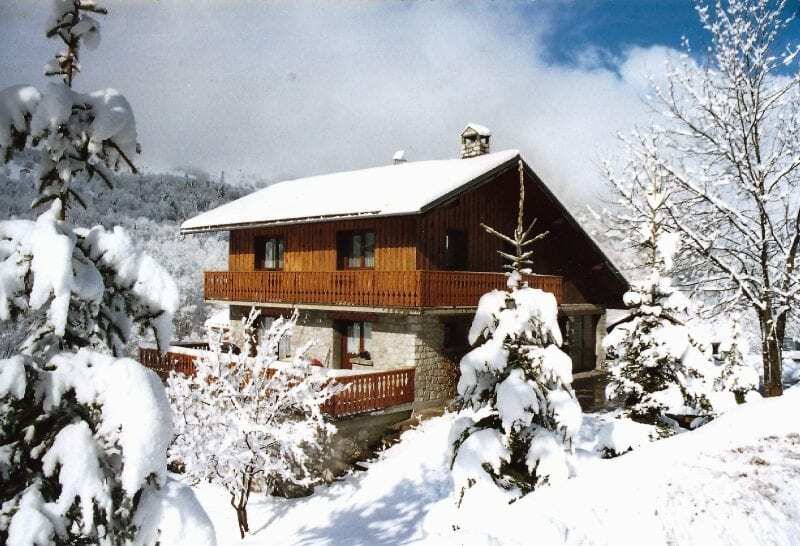 Children love snow, and being expertly looked after in a catered ski chalet means that there’s less time keeping house, and more time for connecting as a family. Layers Packing lots of layers means that you’ll be ready when children inevitably fall over when learning how to ski. Don’t forget to pack vests, long sleeved t-shirts, light fleeces and leggings. No one likes being cold and wet, especially not children! So be prepared with lots of layers which they can strip off when hot or replace when wet – you’ll hear less moans we promise. High Factor Hypoallergenic Sun Cream Yes its snowy, but the sun glinting off that crisp white powder can create quite the glare and sunburn is a real risk for children skiing unless you’re properly prepared. The price of sun cream in resort can be extortionate, so make sure that you pack it before you leave home. Thermals We recommend packing less ‘normal’ clothes, and more thermals. Children are more than happy stripping off and playing in the chalet in their thermals before re-dressing to go back outside so lots of thermal layers are essential. And they’ll keep little bodies extra warm too! Favourite Toys There will be a selection of books and games in your chalet and sledges for you all to enjoy on sunny afternoons to make sure that your little ones are looked after, entertained and happy, but if your child has a favourite teddy or toy don’t forget to pack it as we can’t guarantee we have a replica here in Meribel! Footwear Don’t forget to pack wellies/snow boots so that children can play in the snow and walk about without getting wet feet. Child-Friendly Medication Just in case your little ones sustain an injury or fall unwell here in the mountains, it’s always a good idea to have your own stock of junior paracetamol, plasters and ointments. There’s nothing like peace of mind when it comes to your little ones’ health and well-being and you don’t want to be caught short on holiday and searching for a European equivalent! Two Pairs of Gloves Cold hands will make a child’s day miserable, so bring two pairs of gloves when skiing with children as they will likely get wet and may not dry in time for the next day’s snowy adventures. Swimming Gear For days when the kids need a bit of a rest away from the slopes there are lots of things to do in Meribel– swimming being a favourite for children of all ages. Lots of people wouldn’t think to bring swim suits and trunks when on a skiing holiday in Meribel, but we think swimming is an essential way of resting those aching limbs after a hard day on the slopes. When skiing with children it is so important to us that parents feel comfortable in our chalets and know that the children are in a safe and happy environment. We therefore provide (at no extra cost) stair gates, cots, high chairs and baby monitors upon request. We can also organise the rental of push chairs for the week and all our transport vehicles have booster seats and child car seats. There’s no doubting that skiing can be exhausting, even for the fittest most accomplished experienced skiers among us. Going up and down a mountain all day wearing lots of heavy clobber and breathing all that beautiful fresh mountain air can really take it out of you – and children especially feel tired and in need of a break when learning how to ski. When you’re planning your week in Meribel be sure to factor in lots of rest. 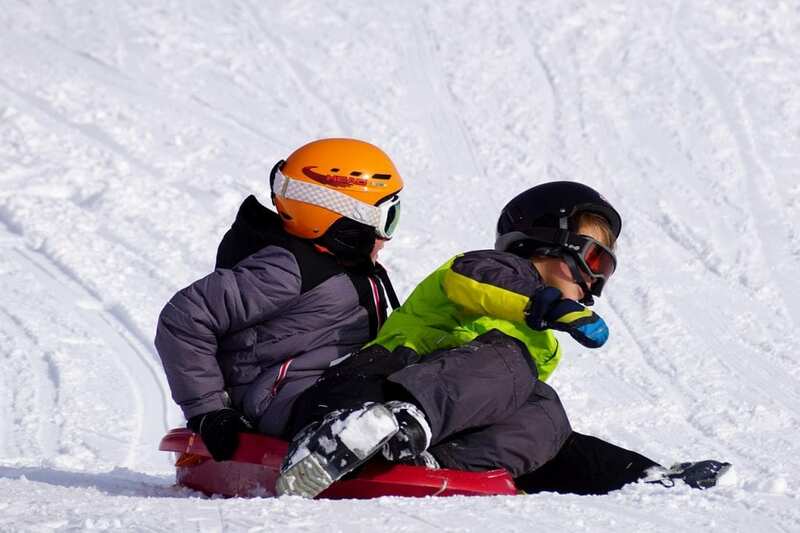 Plan other activities for the afternoon, as children can only manage a couple of hours on the slopes at a time and they’ll soon tire if you try to push them too hard. If you’ve got a baby or toddler(s) you really do need to factor in childcare, or you won’t get a chance to ski at all. Choosing a ski school or opting for playgroups can be daunting which is why Ski Basics are here to help. To allow you some time to enjoy the mountain on your own there are many different forms of childcare and ski schools available. We advise that you reserve your childcare in Meribel early as both ski schools and nanny agencies get fully booked far in advance, especially during school holidays. It is vital that you are confident that your children are in safe hands and under the careful specialist care of trained professionals, and so here we select the best nannies and childcare in the Three Valleys that we have found. Failing that, take a carer with you! Sound out a grandparent or family member or borrow a friend’s teenager for the week. If s/he wants to ski, they might come along unpaid (provided you pay their expenses). Children grow fast, and if it is their first-time skiing then how do you know that they’ll love it? If you want to be savvy, why not borrow children’s ski gear from a friend or look at ski hire in Meribel once you arrive here in resort? if you have young children and only plan to ski one week a year, it’s probably a lot more cost effective to hire their equipment, and by arranging it here resort you can easily exchange anything that doesn’t fit. If you do want your own kit for the children, then try Ebay or Freecycle for some great bargains. Everyone knows that children can be fussy when it comes to new food, and so here at Ski Basics we make sure you let us know if your children have any allergies or dietary requests so that we can ensure our staff are prepared for you by the time you arrive in resort. Let us know of any birthdays and special occasions too! We do our best to source the highest quality ingredients to make natural, homemade family favourites. Dishes include shepherd’s pie, fish goujons with seasonal vegetables and fun nights with DIY pizzas. Seasoned children who ski who love trying new foods are of course welcome to have the same as the adults! Our hosts will prepare fresh and healthy food that your children will love, as well as preparing dinner earlier if you prefer. This normally takes place at 6 o’clock but we will, of course, be flexible to fit in with your usual routine as much as possible. We know happy children mean happy parents, so try to go above and beyond to ensure everyone has a nice time. We will help the kids’ cosy down, offering a warm drink and bed time story books by the fire to help them settle for the evening and ensure a relaxing end to your busy days. Skiing with children can be challenging, but if you’re well-prepared and take our advice then you’ll have an amazing time where long-lasting memories are made. Contact us what your top tips are for skiing with children over on Facebook, Twitter and Instagram – we can’t wait to hear and share your ideas!